In 2002, the Liberty Memorial Associated charged Ralph Appelbaum Associates with creating a museum that, like the memorial itself, would honor those who served in World War I in defense of liberty and country. 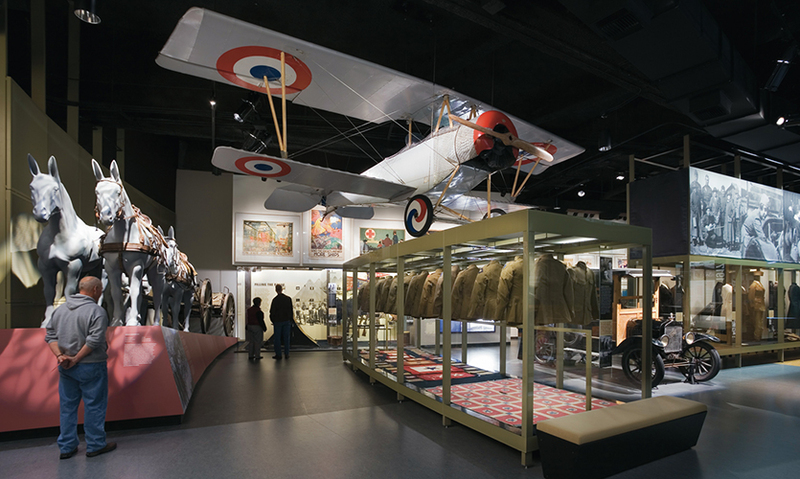 The new National World War I Museum at Liberty Memorial in Kansas City, MO, chronicles one of the nation's central epics, one that brought the United States onto the world stage. 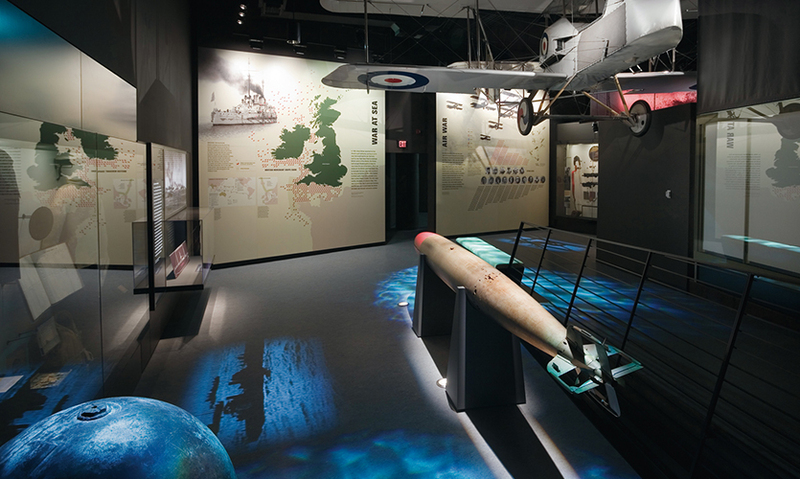 Thematic elements go beyond just military equipment and weapons to artifacts that represent popular culture during the war and lend insight into the times. The museum's “big guns,” positioned like sentinels around the main exhibit hall, are brutal reminders of war, but are also beautiful examples of industrial design. An extraordinary collection of war posters from Europe and America is showcased on two monumental walls. The Appelbaum team created a fan-like museum plan that radiates from the Liberty Memorial's core at its subterranean level. The Museum's dramatic entry statement is a glass bridge over a field of 9,000 poppies, representing the 9 million who died during the war. 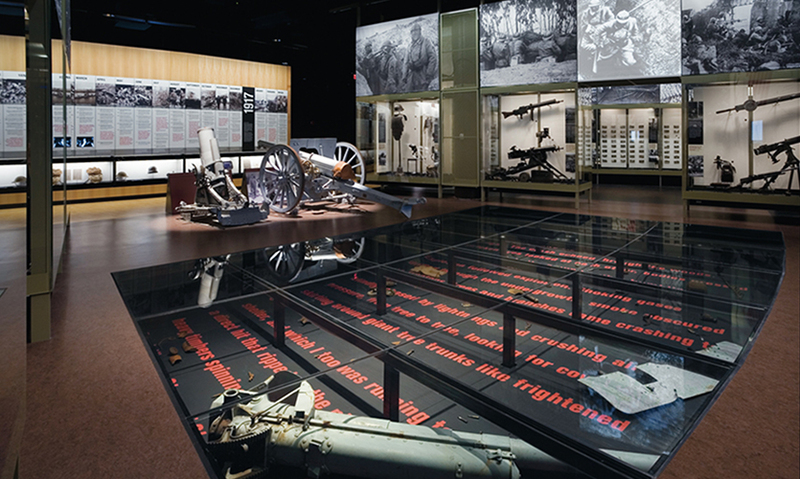 A luminous glass wall encloses the exhibition hall, and two arcs formed by exhibit cases and artillery divide the experience-physically and symbolically-into an east and west side, representing the war before and after American participation. 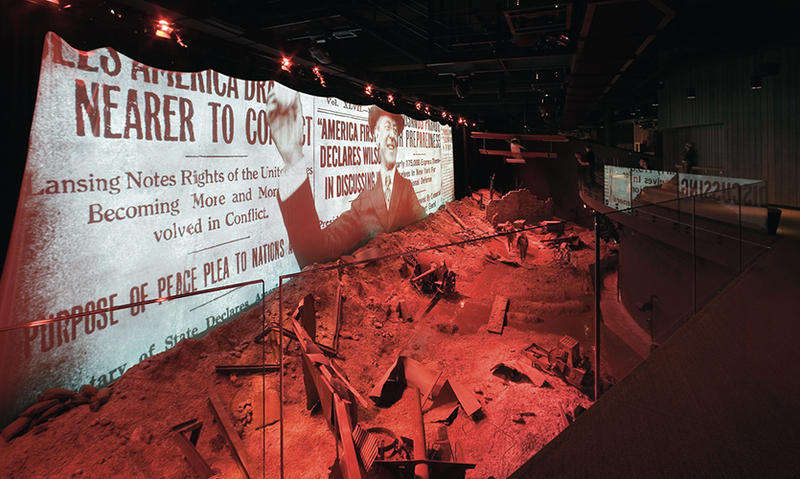 Throughout the exhibit, encounters with immersive environments are structured around how the conflict left indelible marks on the earth: the earthen field dotted with poppies, an 80-ft. trench scratched into the earth, a scarred plain of “No Man's Land,” and a huge bomb crater like those that pockmarked the Western Front. Primary graphic panels are monumental and bold, relating metaphorically to the scale of the disaster. Diagrams, graphs, and maps provide an alternative way of understanding history and contrast dramatically with the Museum's wealth of archival images, both still and moving. Graphic panels are abstractly layered in the style of early 20th century avant garde design, combining text, illustration, and photography on an infinite field. 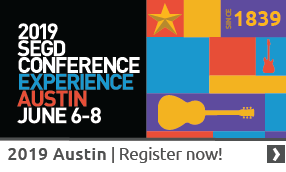 The exhibit typeface, Berthold Akzidenz Grotesk, dates from the period. Video and audio are also layered into the Museum experience. Slow-dissolve video murals over display cases and environmental video projected on the floor showcase the Museum's photo collection. Sixteen map animations on touchscreen LCD monitors illustrate major battles. A final video covers the peace conference and foreshadows the war's terrible and lasting consequences.